We frequently get asked by institutions “what should I do with my scanned photos/documents?” This is a great question but not an easy one – digitization/scanning is the easy part. What these institutions are often asking is how they should keep track of the files they created during scanning (scans) and the information about what they scanned (metadata). In addition to tracking, they’d like to know what their options are for sharing the scans and metadata with an online audience. When you see websites like ours with extensive collections of scans paired with metadata (like in the screenshot below), there’s usually a piece of software behind it that keeps track of the scans and the metadata and then matches them up for online display. That’s what a content management systems (CMS) does, if you’ve heard that term before. The benefit of using a CMS is that it makes sure the scans and their metadata remain paired over time, and often allows users to do fun things like search, sort, and filter. 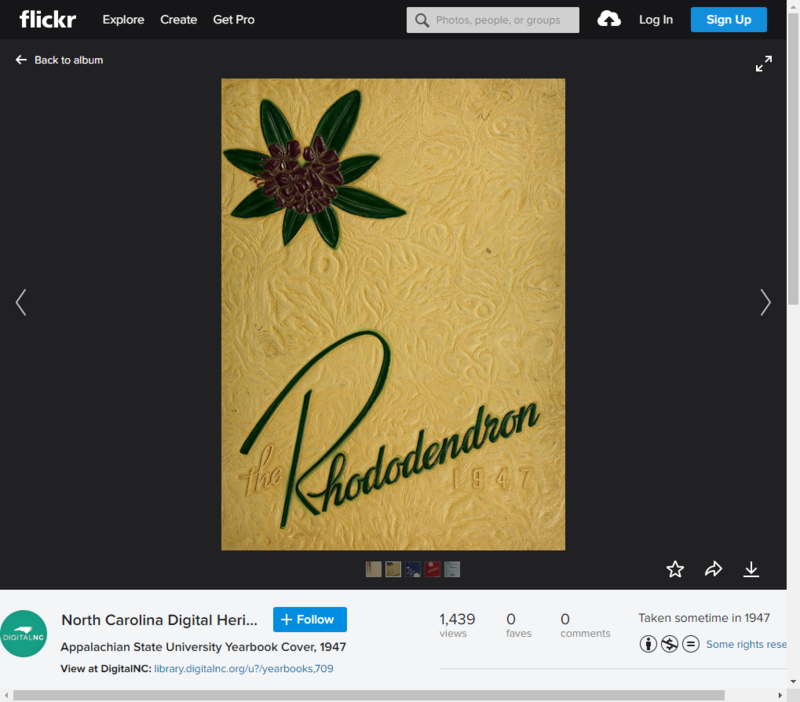 Screenshot of an item on DigitalNC, as presented by a content management system called TIND. There are different types of CMSs for different types of industries. This post focuses on options for cultural heritage institutions, because CMSs made for cultural heritage institutions generally address the things we care about most. They make sure metadata is shareable, that scans can be described really well, and that you can express one-to-many relationships (think: many scans linked up to a single metadata record). If your institution is considering implementing a CMS, here are the very first steps we suggest considering. Decide on your goals. Do you want your scans to be available online? Or are you just looking for software that will manage your scans and metadata locally? Who will use the end product – your staff, your patrons/users, or both? Your answer will help guide where you go next. Do some prep work. Like any other service your institution wants to maintain, figure out (1) how much money you have to spend both now and on an ongoing basis, (2) who will need to be involved in installation and support, and (3) what staff expertise you already have related to technology. Talk to your administration and coworkers. What are their goals and needs for scanning and sharing those scans, if any? It’s a lot harder to implement a system if you don’t have the buy-in of others where you work. If you just need to keep track of scans and metadata locally for staff use, you can do this easily with a spreadsheet and a really consistent file naming structure. The spreadsheet could include things like a title or description, maybe a physical location, any other helpful keywords or dates, and the file or folder names for the scans. Staff can search the spreadsheet for what they need, and then find the file or folder name so they can pull up the scans from storage. If you’d like something more sophisticated for keeping track of scans and metadata locally for staff use, there are programs that allow you to tag and describe scans that live locally. If you search for “photo management software” or “photo organizing software” online you’ll discover a number of options. We’re not terribly familiar with these; just be sure that you can export whatever you put into the software before committing. If you decide you’d like to put your scans online, here are some choices you can consider. 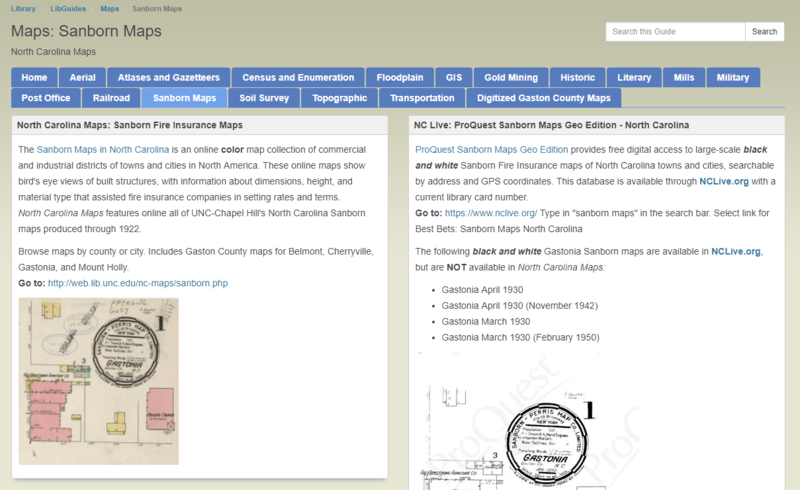 Screenshot of a LibGuide with extensive information about North Carolina maps. Typically Chosen By: Institutions who already have a CMS that they can stretch to serve their needs. The Positive Side: You may be able to start sharing your scans faster because the CMS is already adopted and paid for by your institution and familiar to staff and online users. 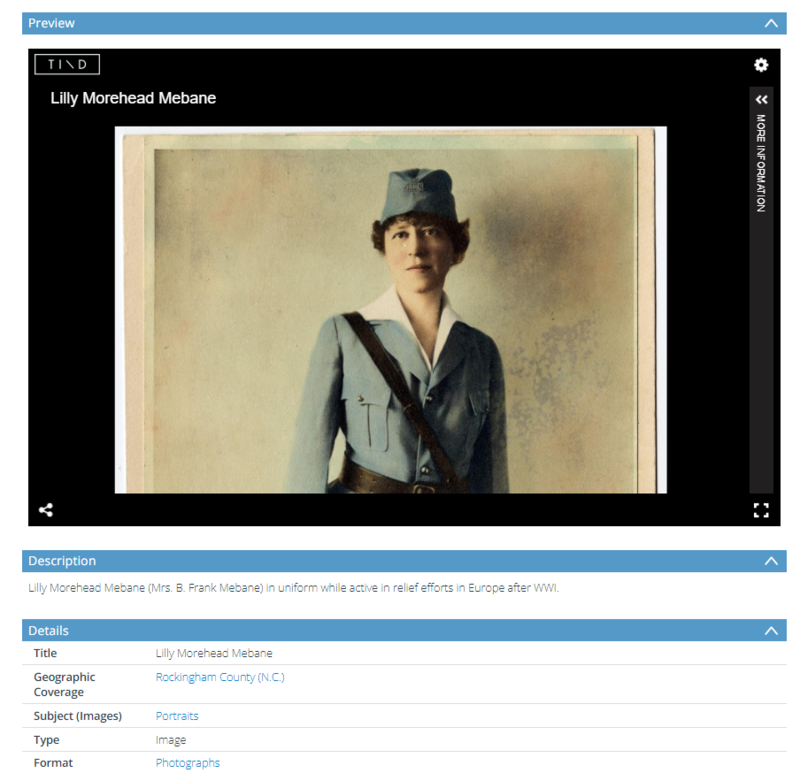 Possible Challenges: LibGuides, library catalogs, and museum databases do not always follow best practices and standards for digital collections. For example, it may not allow you to attach multiple scans to a single record, or it may not export your metadata in a structured way. In other words, you may be fitting a “square peg into a round hole.” In addition, if the features you want to use are secondary to the system’s main purpose, the vendor or developer could drop those features later. Recommended? Depending on your resources and needs this can be the best solution. Just be aware of the possible down sides mentioned above. 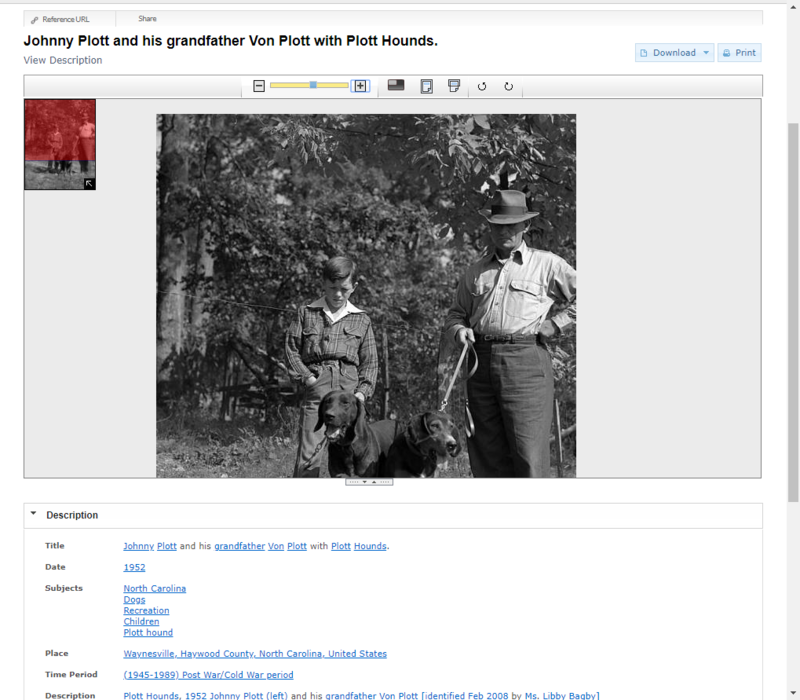 Screenshot of an item on Flickr. Typically Chosen By: Private individuals, small organizations with limited technical staff, institutions seeking to engage with broad communities where those communities already congregate online. The Positive Side: These reach broad, built-in audiences. There is frequently no cost up front. Possible Challenges: These do not adhere to best practices and standards for digital collections, which can cause a lot of work later on. Sites like these can shut down or change their terms of service with little or no regard for or warning to users. There are ads displayed near to your files, over which your organization has no control. It’s frequently impossible or extremely difficult to get your files and metadata back out of these sites. Recommended? Not recommended as the main mechanism for managing and storing your files and metadata. These sites are best used only for outreach and engagement. Typically Chosen By: Institutions of all sizes who prefer not to host their own software, possibly due to local IT limitations or as a result of strategic priorities; institutions who would like their scans and metadata searchable alongside others from around the state. The Positive Side: Your content reaches a broad, built-in audience. 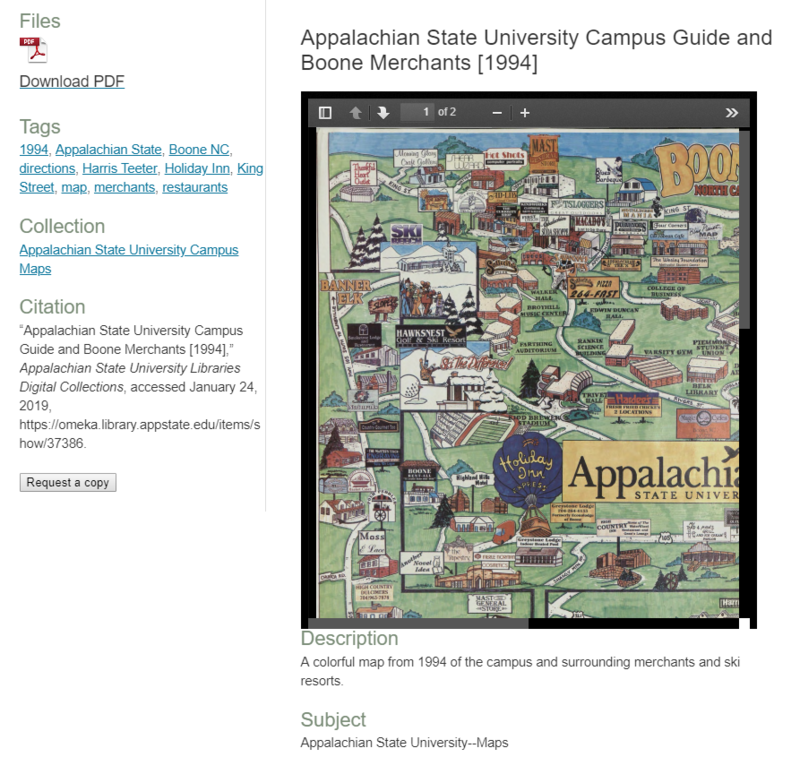 It would be searchable with similar digital collections from around North Carolina. Currently no cost to institutions. Recommended? Sure! Depending on your resources and needs this can be a great option. Screenshot of a hosted instance of CONTENTdm. Typically Chosen By: Institutions of all sizes who prefer not to host their own software, possibly due to local IT limitations or as a result of strategic priorities. The Positive Side: Many systems like these are built with best practices like consistency, standards, and integration with other systems. They will allow users to search your metadata, and often offer things like filtering, file downloading, and other desired user services. Your organization does not have to set up or maintain the software locally. You can establish a brand and dedicated site for your digital collections. Possible Challenges: They require staff with specialized training in the system, and the ability to pay a vendor both initially and on an ongoing basis. You’re limited to the services or features the vendor chooses to offer. Recommended? Sure! Depending on your resources this can be a great option. Screenshot of a self-hosted instance of Omeka. Typically Chosen By: Institutions with programmers on staff, dedicated IT support, and collections that require a lot of customization. The Positive Side: Like the hosted systems above, these are also often built with best practices like standards and interoperability. They will allow users to search your metadata, and often offer things like filtering, image downloading, and other user services. When you host your own system you can frequently customize more features. Possible Challenges: They require staff with specialized training, and a robust and flexible IT support infrastructure. They’re more time intensive and costly to maintain. In the end, there isn’t much that’s an “always wrong” choice. There are only choices that have different consequences down the road. We encourage people to choose the systems that adhere to digital collections best practices, because those best practices come from people who’ve made choices they regretted. In the end, it’s most important to choose a solution that meets your needs and fits the resources you have now and those you anticipate having in the future. Above all, always be sure that your scans and metadata are backed up and can be extracted from the system you choose! Did we miss anything? Leave us a comment below. If you’re considering one or more of these and have questions, get in touch. We’re happy to give you advice for what to ask a vendor or point you to similar institutions who may have already adopted what you’re considering.